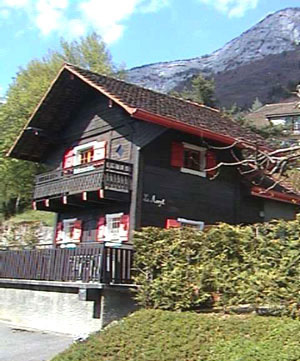 On a small country road of the Mount Veyrier, charming Savoyard chalet on 2 floors, overlooking the sunny shore of Lake Annecy. Rated three stars *** new standard. Good comfort : dishwasher, washing machine, digital color television.